There is nothing more irritating than finding a lot (and when I say “a lot”, I really mean “A LOT”) of games which are doing the same pattern, not showing any difference at all. 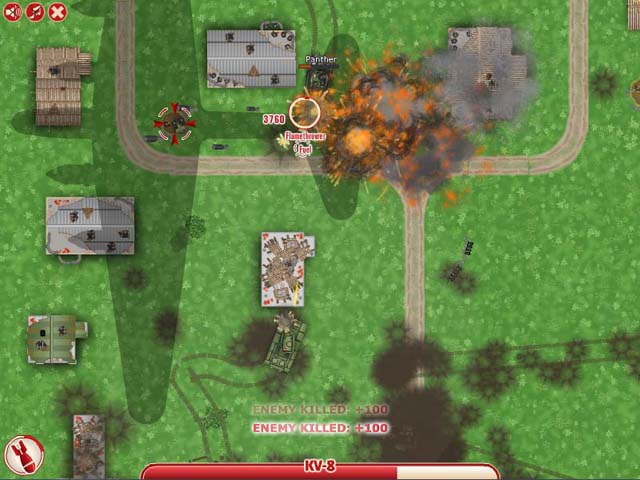 I was at my wits’ end until I found a nice series of strategy, war simulation games that literally blew me away. They are named “Endless War”, and this one particularly, Endless War 6, amazed me so much I couldn’t resist playing it over and over again. What exactly blew me away? For starter’s it was the great graphics that I liked and those are not so common for an ordinary flash game. You will also enjoy the realistic gameplay, the soundtrack and the satisfying feeling that you get while playing. As soon as you start the game, you will find yourself previewing all the locations on the map (which represent your levels, of course). You can see that your battlefields are situated mostly on the territories of today’sRussiaandCentral Europe. 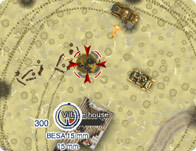 Graphics in this game, as well as the animations, are smoothly done, and you will enjoy just looking at them. The ‘bad thing’ is that the perspective from which you are looking at a game is from above, so you will have the feeling like it should have been done from the first or the third person, but remember – this is a flash game, after all. Gameplay is really interesting and that is why this game is different from others. 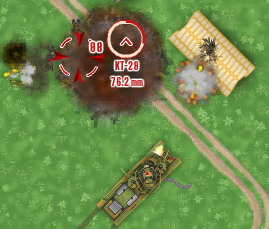 Unlike previous releases, you are now controlling a tank (and you got a bonus of helping hands from time to time from allies) instead of a soldier, which is a nice innovation in the world of war games. One remark that I got here is the controls system: WSAD for movements (which is alright), but, F and G for switching between weapons and then Q and E for turrets? I would rather put those secondary controls one below another like R/T instead of Q/E, so that the player doesn’t even have to think about the controls – they should feel natural, but okay, they liked it like this, and all that’s left is my critique. Okay, so, those were the great things about this game, and why I liked it so much. And even if it is all true, now it is time to laugh and throw everything I said into the water. Why? The answer is simple. 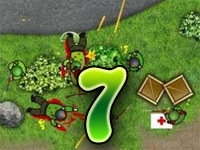 Endless War 6 came several months after the last part, Endless War 5, and we all know that could mean only one thing: this game is absolutely copy + pasted from the previous release. And I really mean it: everything was just ripped off, including the gameplay and the graphics, just… everything! The only thing that changed is the new tank names and that’s it! Splendid! Oh, what to say. We have to conclude this so… All in all, Endless War series bring fun in an interactive way that hasn’t been seen for a long time. 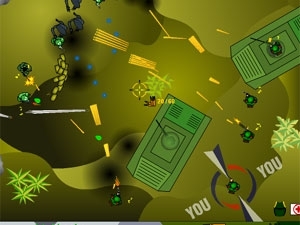 And overall, I liked the Endless War 6 flash game, and even if it is just another clone of Endless War 5, I must put my hand on my heart, take a deep breath and say that these series made me taste the sweet essence of victory, as a true war hero.